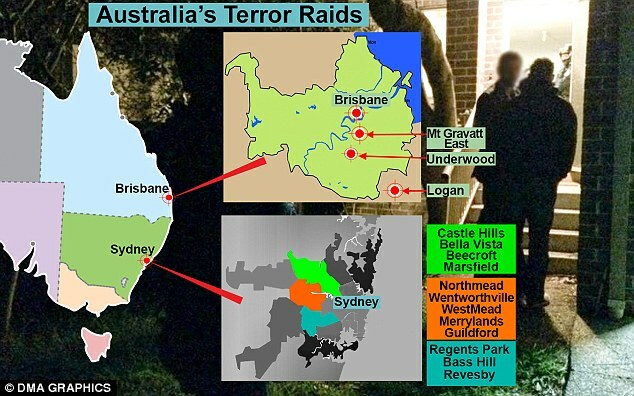 The convenience of Tony “Terror Stopper” Abbott’s crack down on a ISIS terrorist cell. I am not one to believe in coincidences, in particular when they so neatly and cleverly affirm a ruling party’s political agenda. 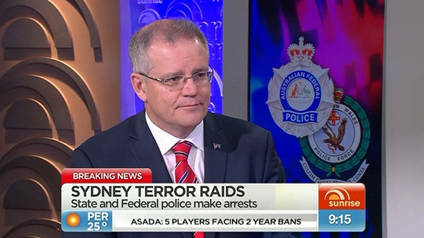 A few days ago, under the watchful eye of Commander and Chief, Tony “Terror Stopper” Abbott, he announced with supressed elation, that a diabolical terror plot to behead random citizens had been foiled. How sinister and scary can you get!!! A terror cell taking orders from the mother terror cell ISIS (probably on Skype video conference call), instructing its sleeper cells to “awaken” and carry out mindless acts of random beheadings on random citizens. This means no one is safe and anyone may feel their wrath and all within the midst of suburban normality. 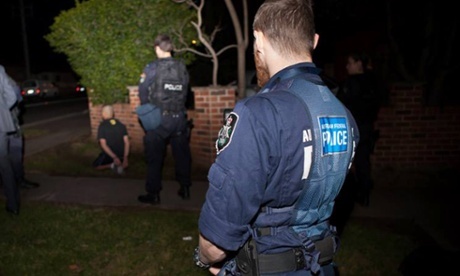 One of the arrests was made in a suburb of Brisbane that I used to live in. OMG these terrorists could have been my neighbours! All this means foiling terror is serious stuff. This means we must go to war, we must destroy the pure evil of ISIS before any random citizen is draped in the black ISIS flag and beheaded. If you were looking for the most effective reason to compel the public to get behind war, this would be it, as it almost perfectly falls into Tony’s lap. This story has then been all over the international press but, in particular, in the US, as news outlets like Fox start to ramp up the “Terror level on the Homeland” to an all-time high. “The case has echoes of a high-profile trial in which four African-American Muslims were found guilty just over a week ago, of a plot to bomb two Bronx synagogues and shoot down military aircraft in New York. Dubbed the Newburgh four, the men were arrested in May 2009 and paraded in front of New York news cameras, as the faces of home-grown terrorism. According to the FBI, the four intended to carry out their terror plan on the day of the arrest. “Four individuals had sought to bomb Jewish facilities here in the Bronx and also take down military aircraft in Newburgh. A terrifying plot the FBI claims to have thwarted,” said Joseph Demarest from the FBI. The men were poor, illiterate ex-convicts, with neither passports nor licenses. According to Demarest, there was no direction by a foreign entity or terrorist group. Instead, direction came from Shahid Hussain, a Pakistani immigrant on the FBI payroll reportedly paid nearly US$100,000 for his services. Apparently the FBI operative provided the fake C-4 and actually showed them the fake stinger missile. According to court testimony, Hussain recruited the cash strapped defendants by offering cars and money to carry out the orchestrated operation, involving fake weapons and a manufactured terror plot. Later the agent provocateur testified in court as the government’s key witness. It is this kind of contrived and convenient “foiling of terror” that you can’t help thinking the current arrest may fall under. We still have to wait and see the details of what comes out but it is all too convenient and all avowing, I think, just to be by chance. It also gives Abbott a chance to test out the new detention laws on what are, of course, “valid” terrorists. There is even talk of ASIO, Australia’s CIA to use torture on the worst of the worst terrorists. It’s this very slippery slope the US has descended down, resulting in the codified right of the state to hold whoever they choose indefinitely without charge. A law that would be unthinkable 20 years ago has now become a normal practice of state power. So we have every right to be cynical and sceptical of what the government produces as evidence and justification for war. History shows they will lie, cover-up and deceive to whatever extent is needed in order to engage in war. As war costs the tax payers billions of dollars, all against the statistical reality that an Australian citizen is still more likely to be killed by smoking cigarettes, drinking alcohol, a violent spouse, car accidents or bee stings, than getting beheaded by a terrorist. 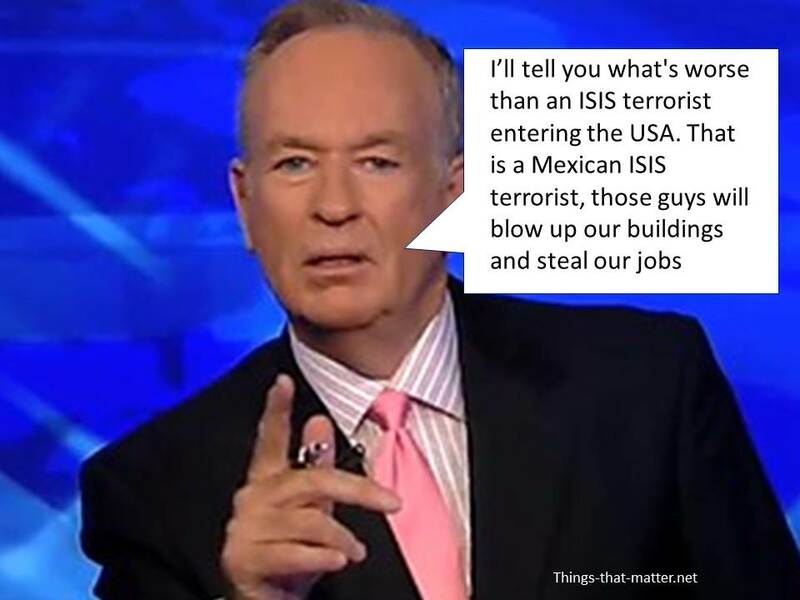 Yet the “war on bee stings” just doesn’t have the same punch or profit generation as “war on terror”. As it seems, the billion dollar business, that is the military industrial complex and its corporate sponsors who truly set the agenda. Then our spineless politicians just serve them the theatre they request.